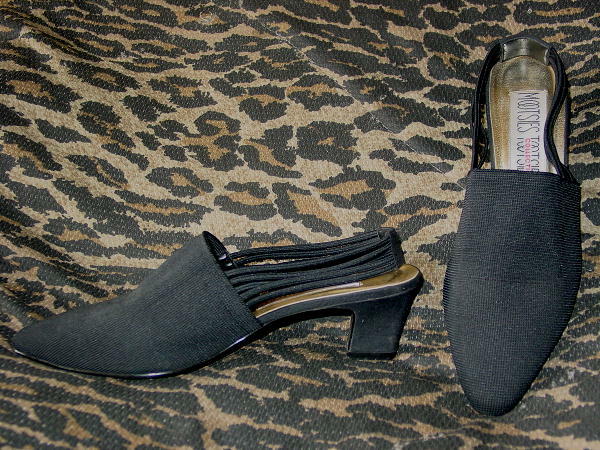 These black fabric slingback shoes are by Mootsies Tootsies. The slingbacks have 5 stretchable cords with a back 1 1/2" wide by 1" high heel band. They have gold lame insoles. The right shoe heel has a scuff/scrape mark on the inner bottom side as it meets the back.